Institute of Professional Learning literacy facilitators Sandy Harrop and Lyn Pascoe realised, when in schools, that children aged five were arriving at school with insufficient school-useful vocabulary to allow them to easily access the learning provided. Parents are a child’s first teachers. They provide early learning and continued learning by their interactions with their children through talking about experiences, practices and stories of family and life. It appeared that many parents did not understand how valuable it was, or were unsure of how to prepare children for learning through talk in the home and family, and how cheap and simple this practice is. Sandy and Lyn believed that a simple, cheap resource which parents could access and easily use to prompt learning talk with their children, ensuring that they came to school ready and able to fit into the school world ,may stimulate this valuable talk. They believed that there was a need for something to support parents in this fast- paced world, which would help and encourage them to use the spare moments they had whilst around the home, in the car and in daily activities of life, to reconnect verbally with their children. Simple talking about everyday things improves the ability to think, use language appropriately and to communicate with whanau and others within their circles. This experience with language means that when the children arrive at school they are also ready and able to communicate comfortably with their teachers and peers. Early literacy is based around the expectation that children will have had common experiences about which they can talk and upon which they can further build understandings. Those children for whom talk and conversations have been a family practice are well equipped for early literacy learning. 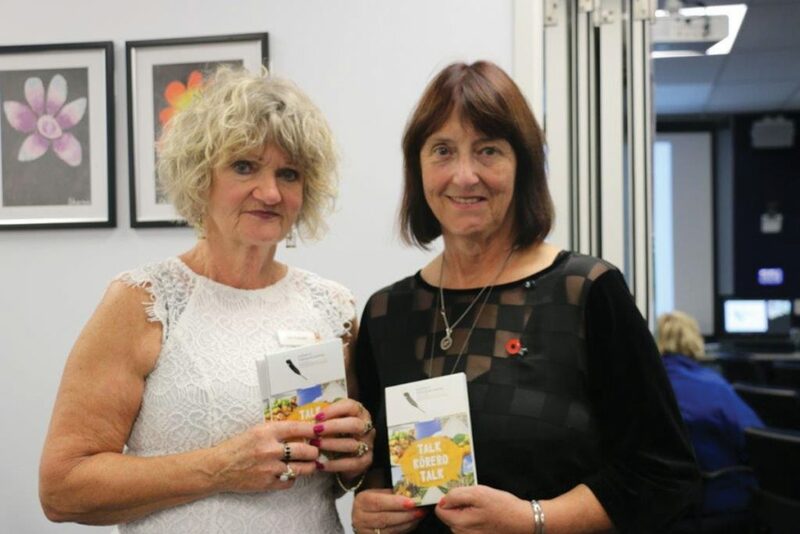 Sandy and Lyn are currently involved in literacy facilitation for the institute of Professional learning, Te Toi Tangata, at the University of Waikato. They are both teachers with many years experience in all areas of schooling and are passionate about children’s literacy learning.